Order your Montegrappa Cigar Rollerball today from FahrneysPens.com. Fine Pens, Refills & Luxurious Gifts – great prices & fast shipping. 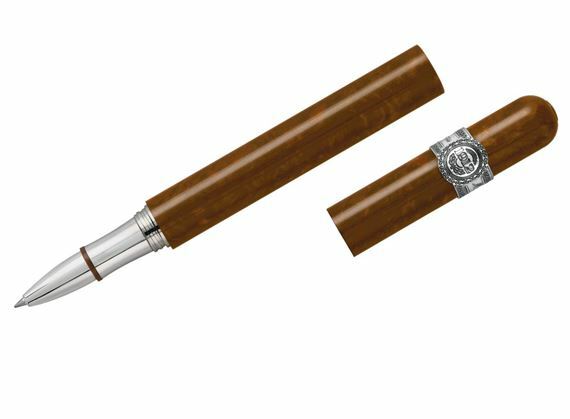 20 years after Montegrappa issued the first Cigar edition, Montegrappa has again honored this most elevated form of smoking with a new limited edition. Although tobacco usage has fallen out of favor, cigars remain a guilty pleasure for connoisseurs who appreciate the rich tastes and aromas. Made in the special 'Tobacco' celluloid, one of the 24 hues Montegrappa boasts in its archives, the Cigar pen resembles the subject with uncanny realism. The color was chosen for its particular combination of light brown with lighter, pearlized streaks that resemble organic tobacco leaves. Its shape is deceptively simple, just like a cigar, adorned on the outside by the cigar-band in precious metal, declaring the brand and its year of foundation. To maintain the uninterrupted form, the Cigar pen does not feature a pocket clip. In terms of size, too, it is a perfect replica of a real cigar, specifically a classic model called a “Laguito n.2,” with sizing of 152 mm in length and 15.08 mm in diameter. Like an actual cigar, the pen possesses a roundish tip to punch and light up. A detail that adds to the cigar smoking-like experience is the fully functional puncher that comes out of the pen cap when the latter is pulled downwards. This Montegrappa Cigar Pen is offered with trim in Sterling Silver and is available only as fountain pen or rollerball. Production is limited to the traditional numbers of Montegrappa: 888 fountain and 888 rollerball pens in Silver. 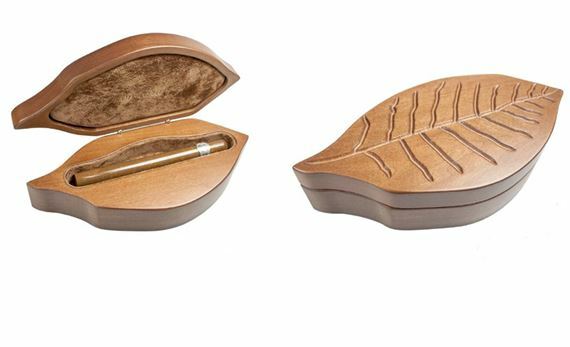 All Cigar pens are housed in special packaging in the shape of a tobacco leaf.